Have you noticed mold in your home or business? Without removal, mold can be a serious issue which can lead to the development of serious health issues. Choosing a mold specialist can help to remove mold from your home or business that may be putting your family or employees’ health at risk. Don’t wait; contact your Boynton Beach mold specialist, A Plus Mold Remediation Inc., for a free consultation today! All too often, home and business owners think they can get rid of mold with household cleaners. But mold is a living and growing fungus which can continue growing even after attempted home remedies. Without professional removal, mold can lead to serious health conditions and even death. So, it’s important that every person understands the dangers of mold and that a professional mold specialist is required for the proper identification, testing, and removal of all mold. Do You Know Your Mold Facts? Mold can grow practically anywhere which offers a moist environment, both in and outdoors. 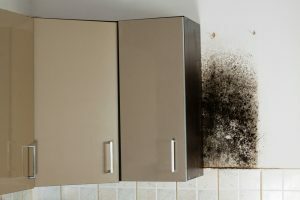 Mold is a fungus which spreads through microscopic spores which can get into your home through AC vents, open windows, or even off your clothes. Since mold is a fungus, it needs specific elements to grow. The first of which is water, or a moist environment. Without water, mold cannot grow; the first thing mold remediation consists of is the removal of water in the environment mold resides. Plumbing leaks, high humidity levels, a.c. leaks and any other water-related home issue can increase the risk for the development of mold. Mold remediation depends on the type of mold. A mold inspection can help to determine the type of mold seen in a home or business so that treatment can be identified. Mold gives off a strong, stale smell which can help you to determine mold-problem areas of your home or business. Your Boynton Beach Mold Specialist- A Plus Mold Remediation Inc. Servicing all of Palm Beach County and other areas of South Florida for mold remediation needs. We are NADCA ASCS Certified through the HVAC Inspection, Maintenance, and Restoration Association. We offer services which include mold testing, mold remediation, general cleaning, and HVAC cleaning! We can remediate mold from a number of areas of a home or business including the ceiling, flooring, cabinets, walls, and furniture. Our mold remediation service allows you to be stress-free about the mold in your home or business. Our state of the art technology can help us to determine the type of mold you’re dealing with along with establishing the most effective and safest method of remediation! 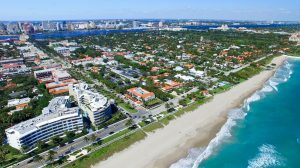 Need a Mold Specialist in Boynton Beach, Florida? If you’re looking to rid your home or business of dangerous mold, look no further than A Plus Mold Remediation Inc.! Remember, the longer you’re around mold, the higher the risk of developing health issues. So, get it taken care of with one simple process through a company you can trust! For a free consultation and estimation of our service packages, contact us today!